Other posts on this quilt: Rainbow Strip Quilt Pt. 1, Rainbow Strip Quilt Pt. 2. 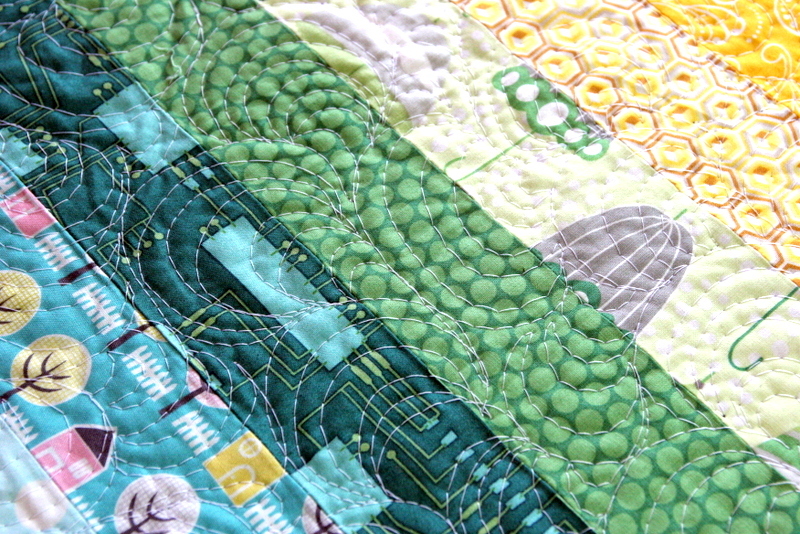 I’ve finished the quilting on this one! I love it, and I tried something new. 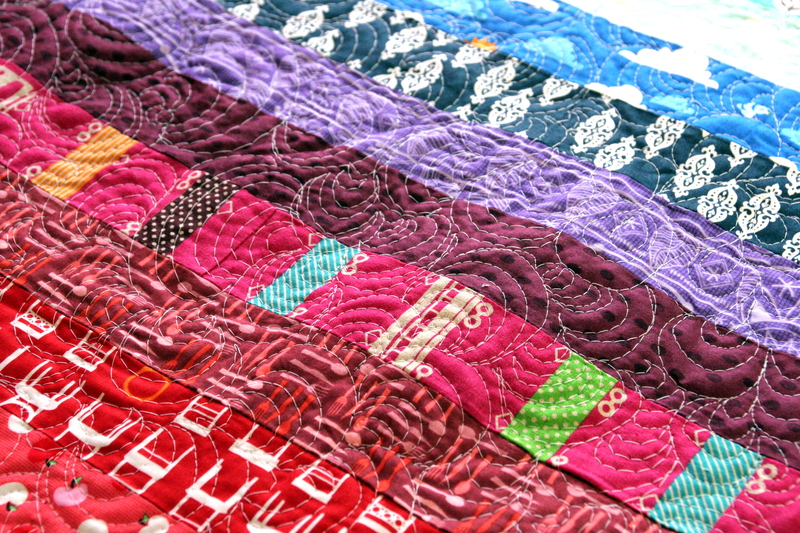 I was poking around some quilting tutorials and came across some of Angela Walters’ excellent videos on All People Quilt. She’s just so relaxed and encouraging, and she promoted the idea of keeping things loose and just going for it. I liked that, so I gave it a try. This was kind of inspired by her paisley design, but I’m obviously not as deft with it as she is. But I still love how it came out! It was so incredibly relaxing, and I put down way more quilting than I usually do. So this quilt has a solid, flat feel to it. It isn’t fluffy or lofty, but since it’s playmat size I kind of like that. H picked out the binding for this one, which I’ve cut out and sewn together. I’ve just got to put it on the quilt, and then this project is finished! giving everyone an extraordinarily spectacular chance to read from here. to search your blog a minimum of thrice per week to see the fresh things you will have. And lastly, I’m also always happy for the dazzling knowledge served by you. Some 1 tips in this post are unquestionably the best I have ever had.